I would like to inquire about your property Bayut - 7/30 /4villas. Please contact me at your earliest convenience. Amazing offer . . . brand new studio flat for rent in khalifa city a cols to etihad plaza start 31000 to 45000. Big size studio with privet trace . COMPANY PROFILE :- Al Najm Al Hadi REAL ESTATE MANAGEMENT L. L. C. one of the oldest and most respected names in the Usa property market opened its first MENA office in September 2008. 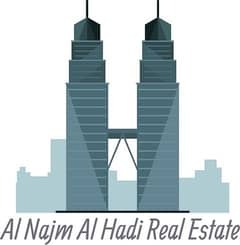 Al Najm Al Hadi REAL ESTATE MANAGEMENT L. L. C. manages the sales, leasing and marketing of both residential and commercial properties around the region.